Kathryn is the founder of Mindful Strength, the host of the Mindful Strength Podcast, an international teacher and a creative thinker in the field of yoga and movement. 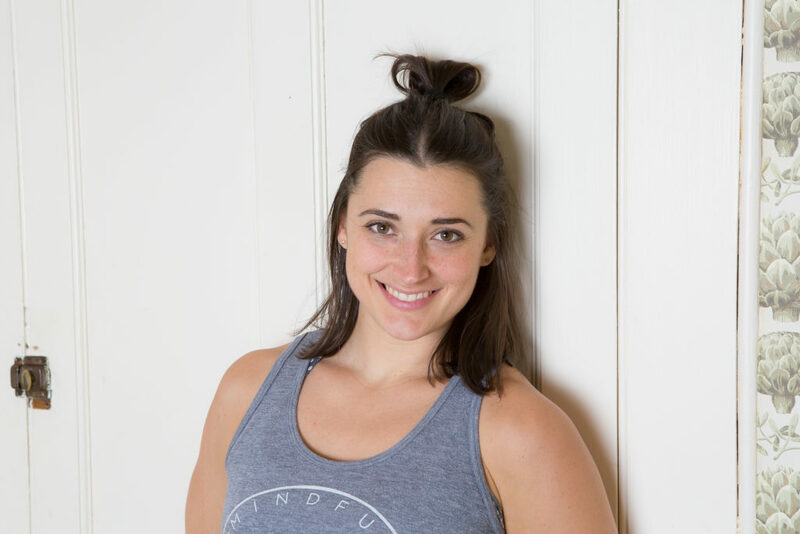 With over a decade of teaching experience Kathryn has a passion for helping people feel strong and confident in their bodies, and helping teachers elevate their teaching strategies. Kathryn has been named one of the Fifteen Millennial Teachers to Watch by Yoga Journal Magazine. Her work is revolutionizing the world of yoga, mindful movement and fitness. Kathryn grew up in her mother’s yoga studio in downtown Toronto, and was an avid Ashtanga practitioner through her teens and early twenties. By age seventeen she had completed her first teacher training program and started teaching a class for teens, which quickly budded into a career as a yoga instructor. By the time she turned twenty-two she was experiencing aches and pains, which forced her to rethink her own understanding of the body, the yoga practice, and what functional movement really was. The following year she met movement teacher Ido Potal and attended his workshops for two years, while beginning to work with a personal trainer she fell in love with lifting weights. She realized that although her yoga practice was very strong, there were parts of her body that had become quite weak and it was strength training in a mindful way that helped her not only recover from repetitive strain injuries, but thrive in a new type of movement practice. Kathryn teaches on the faculty of a number of YTT (yoga teacher training) programs, she leads Mindful Strength teacher’s intensives, she offers two popular online courses, teaches in her small countryside home studio, and travels the world spreading her message. She is currently writing a book, conducting endless podcast interviews, knitting sweaters, and learning new movements with her partner. Want to find out what it’s all about before registering? Strength training is full of cultural messaging including “No Pain, No Gain” the desire for fat loss, and the idea that we have to push our bodies hard to see results. I’m here to tell you that working hard is great, but working in a way that builds the body up rather than breaking it down is even better. This course will introduce you to my method, it’s the perfect way to test out if Mindful Strength is right for you.